It’s not everyday you get to open for Zac Brown Band. 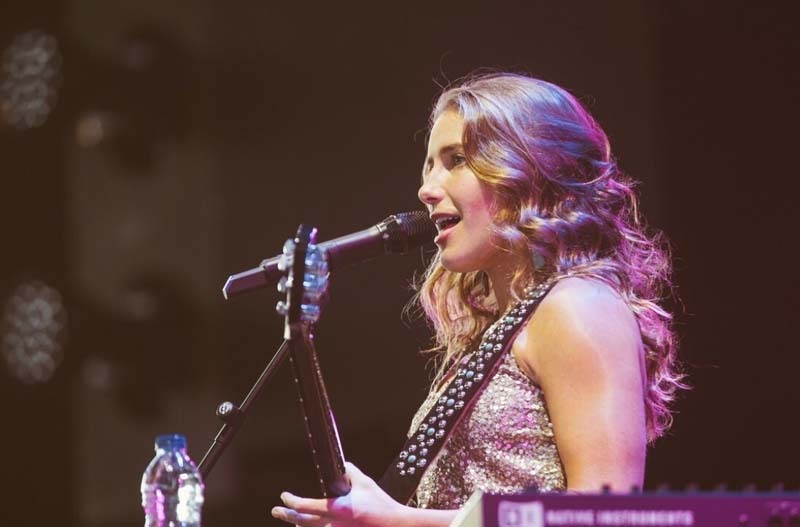 Caroline Jones is bringing country-pop back in a bold way. 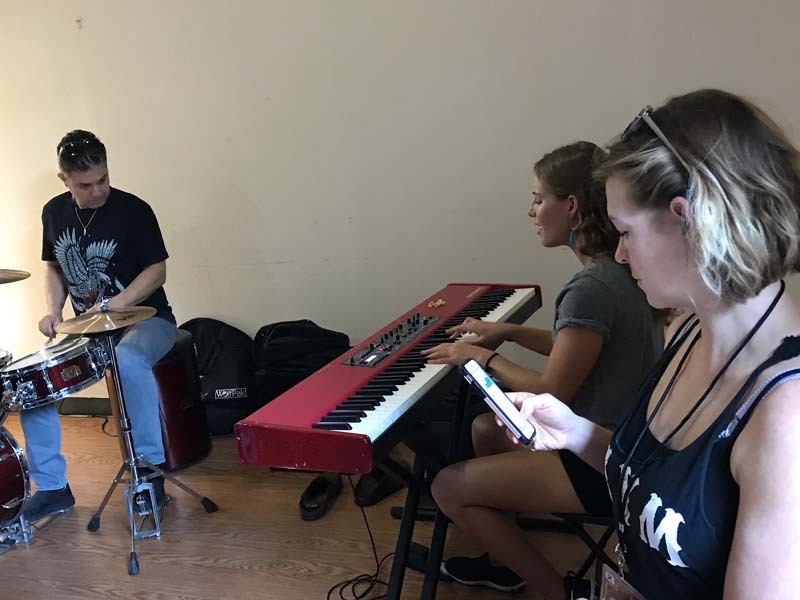 The multi-instrumentalist has been impressing fans and critics alike with her energetic songwriting and passion for blending contemporary pop with her country roots. 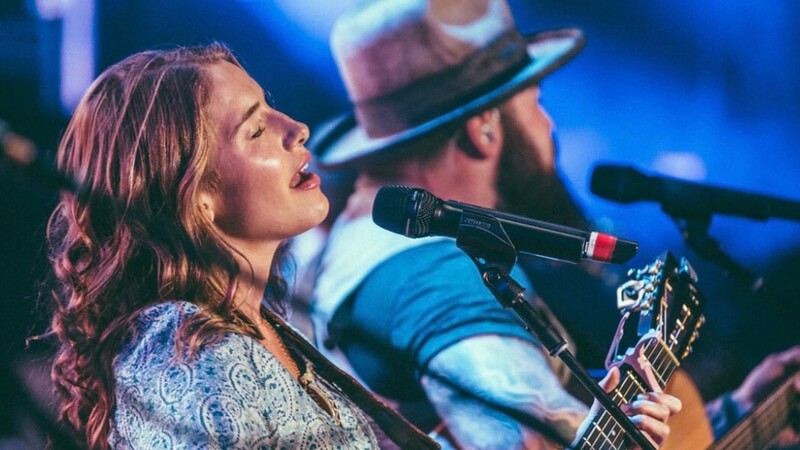 Jones’ exhilaration shines through her music, setting her infectious songs and live performances apart from the never-ending sea of newcomers. 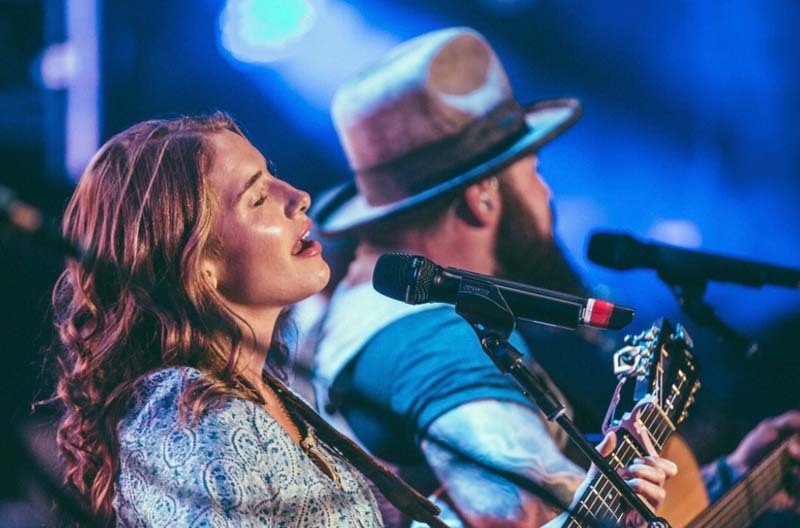 On her latest EP, Bare Feet, Jones wrote every song and played every instrument except for bass & drums, including the acoustic guitar, electric guitar, dobro, banjo, harmonica, and piano. The record, co-produced by the legendary Ric Wake, is a joyful album filled with shiny tracks, killer hooks, and sweet melodies. One of our favorites on the EP? “Country Girl”, a mesmerizing anthem for anyone who feels home on the range. 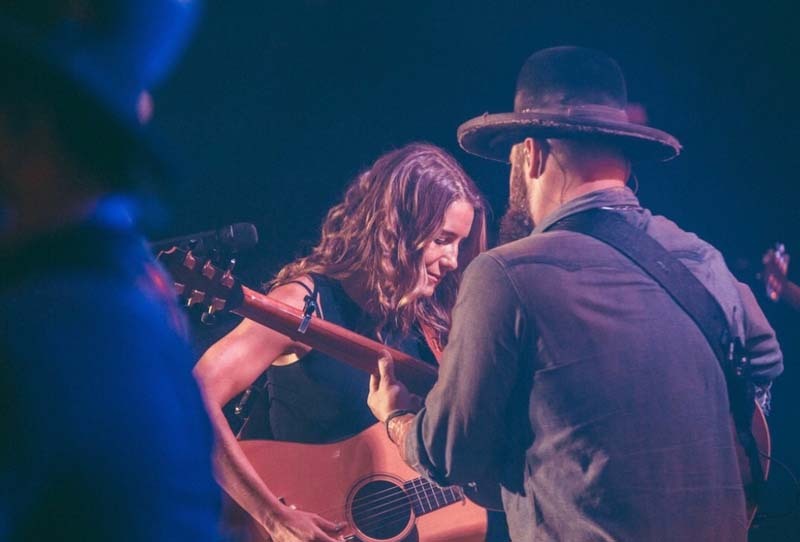 The music video for the track dropped this week and showcases the Connecticut-native frolicking around her family's farm, playing with cows and strumming her guitar on the porch. 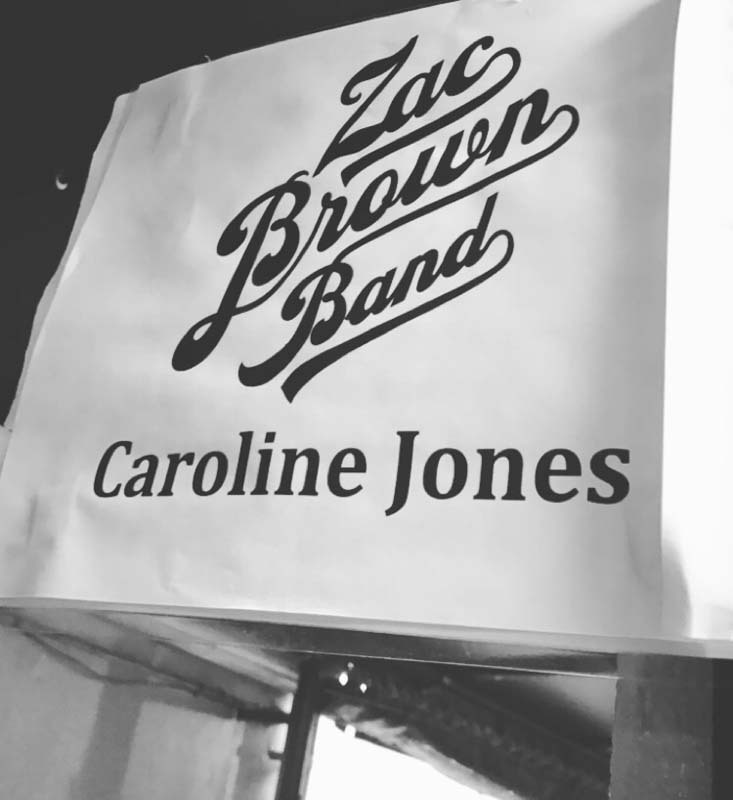 We caught up with Jones on the road to get the inside scoop about opening for Zac Brown Band's Welcome Home 2017 Tour. 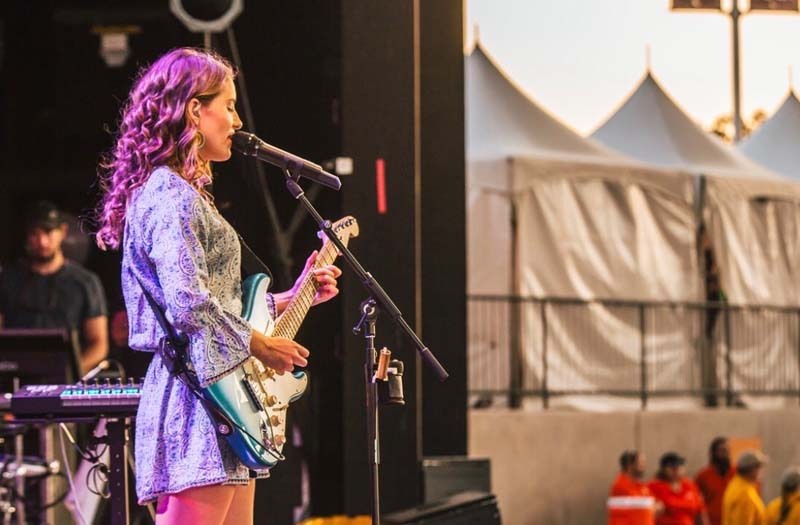 Check out her Tour Diary below, then make sure to Track her on Bandsintown to stay up-to-date with all her touring news! 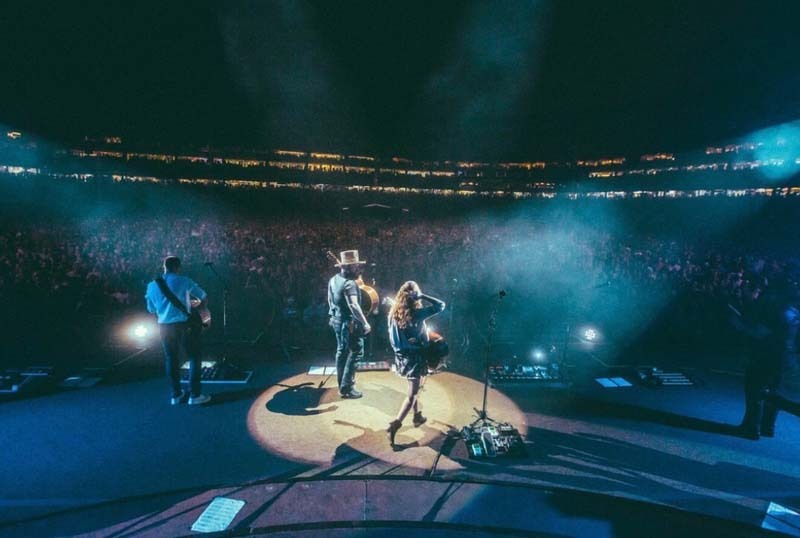 Performing with Zac Brown Band at Denver’s Coors Field to 40k people in the audience. 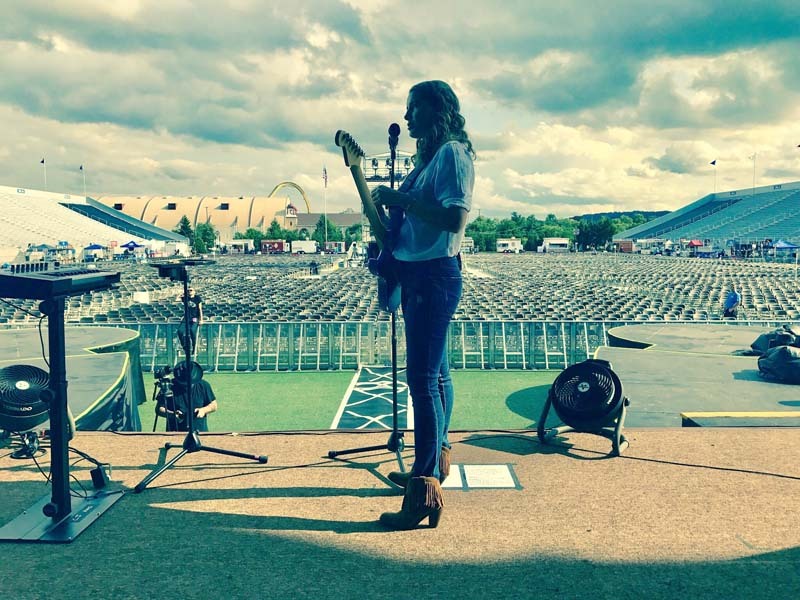 Soundcheck in Hershey, PA was the calm before the storm supporting Zac Brown Band on the Welcome Home 2017 Tour. 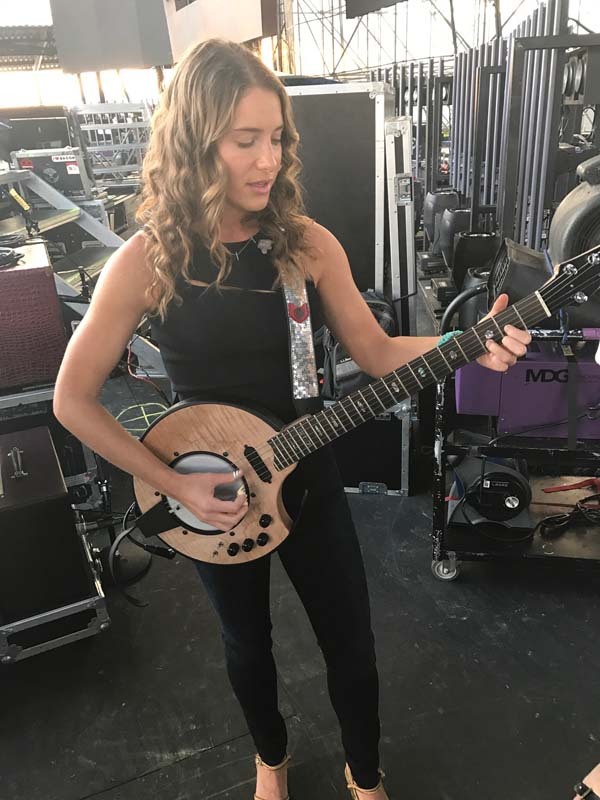 Warming up on my electric banjo before the concert. Such an epic night opening for Zac Brown Band in Toronto, Canada. It is an honor to be on stage with Zac Brown Band. 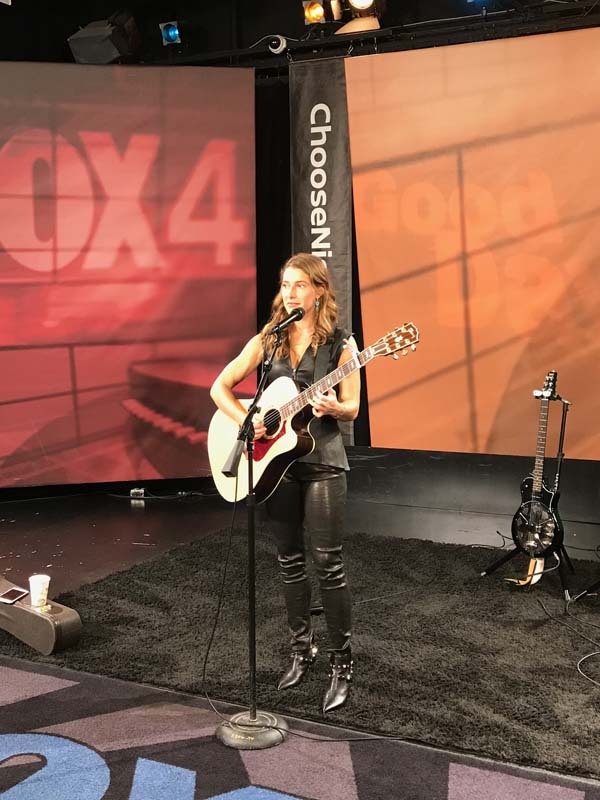 Acoustic performance on Good Day Dallas was fun! Vocal warmups are my favorite thing to do before a show. I like to name all my guitars. This is my Fender named New Blue! It is a dream come true being on tour with Zac Brown Band. So, that's where my dressing room is!